Chelsea splashed out £57m on Jorginho in July after appointing his former Napoli boss Maurizio Sarri as their new manager. The Italy international has since played a central role for Chelsea, acting as a deep-lying playmaker with N’Golo Kante and Ross Barkley either side of him. Jorginho scored his first competitive Chelsea goal in the 3-0 opening weekend win over Huddersfield. And he dictated the tempo with ease as the Blues beat London rivals Arsenal at Stamford Bridge on Saturday. Jorginho’s performances in a Chelsea shirt have seen the 26-year-old receive plenty of plaudits. And his agent, Joao Santos, has now revealed how he is adjusting to life away from the pitch. “Jorginho has started his adventure at Chelsea very well,” said Santos, during an interview with Gonfia La Rete on Radio CRC. “He’s already integrated himself, plus he also speaks English well, so he’s not having any problems settling. “When a player is good, he can play in any league. Jorginho joined Chelsea having forged his burgeoning reputation during his four-year stint at Napoli. And Santos has discussed the bond he still shares with the supporters of the Serie A giants. “He’s very happy with how the match against Arsenal went,” Santos added. “There were 50 Neapolitans who cheered him on and asked for photos and autographs. “This is why we love Naples and we’ll continue to. “Their support has continued in London. “Jorginho has many friends in Naples, like [Dries] Mertens and [Lorenzo] Insigne. 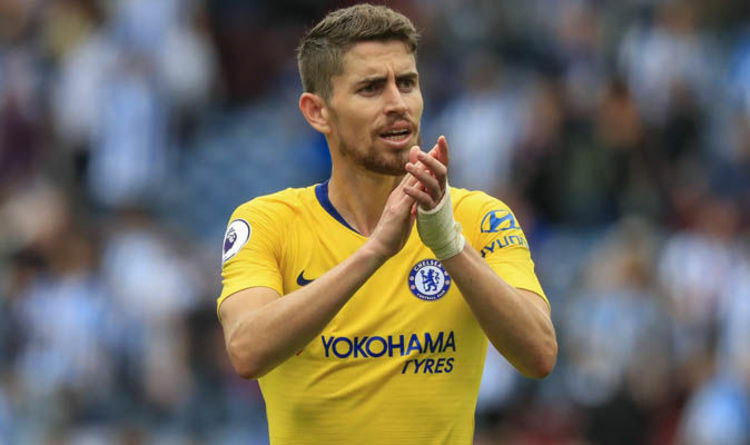 Jorginho will be eager to shine once again when Chelsea face Newcastle on Sunday. ‘We Cannot Afford This’: Malaysia Pushes Back Against China’s Vision Are Beyoncé and JAY-Z (aka The Carters) Performing at the 2018 MTV VMAs Tonight?